Franklin County Public School officials confirm third grade Rocky Mount Elementary teacher, Dona Minnick, was killed in a car accident Tuesday on Route 220 near Boones Mill. 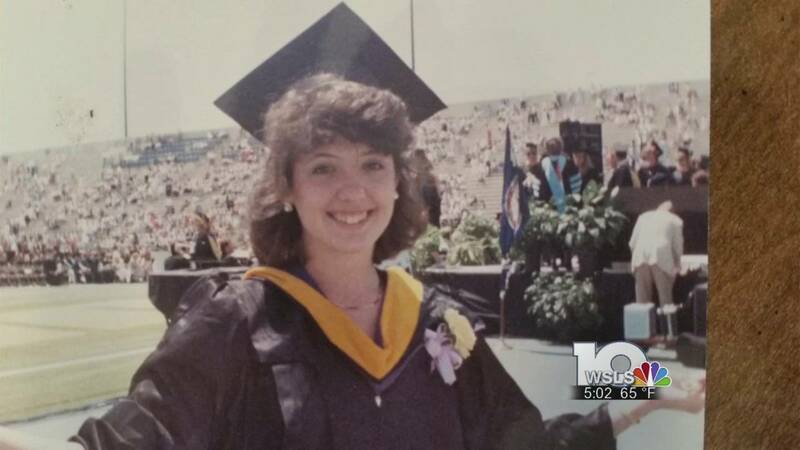 FRANKLIN COUNTY (WSLS 10) - The Rocky Mount community mourns and students learn a lesson in loss after a local teacher is killed. Third grade teacher Dona Minnick passed away Tuesday after a head on collision. The deadly crash happened along Route 220 near Boones Mill. Minnick was traveling northbound when a car going in the opposite direction crossed the median hitting her head-on. Minnick was pronounced dead at the scene. The other driver was taken to the hospital and is expected to be okay. Now, the community works together to cope with the reality of a life lost. Minnick's mother Helen said, "This is a very tough time for their family. She was much loved and a good girl. Everyone is still in shock." It was also a somber day for Rocky Mount Elementary School where Minnick taught. Many are having a hard time accepting the truth. Many said she was a staple in the district. "Everybody was just with her yesterday and then, she's not here today," said Phillip Poff, a friend of Minnick's. "The obvious feeling is shock and disbelief." Former Rocky Mount Principal Phillip Poff is having a hard time accepting the heart wrenching truth -- a former co-worker and close friend is gone -- when he just saw only hours ago. "Dona had a great personality, it was a lot of fun to be in her classroom and I saw that when I was a principle," said Poff. "I was in her classroom all the time." "She was someone who walked through the hallways always had a nice word and certainly was hard to miss in a school," said Franklin County Public Schools Superintendent Mark Church. Working together for over 10 years, Poff and Minnick grew close. Poff said Minnick grew up in the area, attended Rocky Mount Elementary School and ended up teaching there for 26 years. "She probably had 600 or 700 kids go through her classroom and every one of them are better for it," said Poff. "Every one of them will probably tell you that too." "She's seen a lot of young people come and certainly go through school and graduate and move on," said Church. "She's a pillar of that school, but certainly for our community as well." School staff said Minnick worked hard, her passion was teaching, and her warm memories will not be forgotten. The superintendent further says, because of this tough loss on students and staff councilors were brought into the school today for anyone looking for help. The family has not yet made any funeral arrangements, but said the viewing will be held at the Flora Funeral Home in Rocky Mount.